Life is Cool and Sweet, Even With Diabetes! In the summer, there are some days that are so hot that the most appealing thing to do is to float on a raft in a pool while slowly enjoying an ice cold treat. For people living with diabetes, staying cool and refreshed is important but you should also be mindful about what you eat to keep cool. Don’t just grab the first thing you see coming off the ice cream truck! Besides the refined sugar, these items are full of preservatives and unpronounceable ingredients. The solution? Make your own frozen treats! If you’re a parent, keep making batches throughout the summer. They are cool and healthy and these treats will keep your kids satiated and hydrated. Judy Kizer, M.S. is a nutritionist who studied dietetics at Georgia State University. Judy states that a fruit is a carb and there is a limit to daily servings. All serving sizes of fruit have approximately 15 grams of carbohydrate. Your doctor will let you know how many portions of fruit are permitted per day. To keep track of your fruit servings, puree a whole fruit instead of using concentrate. This way you know the portion size. Check with your doctor if it is permissible to use agave or maple syrup instead of artificial sweetener and if so how much is the right serving size for you. You can also spice things up with a dash of cinnamon which some studies have shown helps to regulate blood glucose levels. Here are some great summer treats for you to make at home! The nutrition information below was provided by Miriam Botwinick, a Jerusalem-based dietician with experience in helping clients with diabetes. After mixing the ingredients together, put into freezer and freeze until almost firm. Take out, let soften, then whip it and freeze again. Once more, soften and whip. Serve immediately or separate into molds. Keep these ingredients in stock and you’ll always have a cool treat on hand! If you want to freeze bananas with an extra kick, melt a bar of non-sugar-added chocolate. Put bananas on skewers, then dip in chocolate and roll in nuts. Freeze until firm. Pour four small containers of plain yogurt into a bowl. Add maple or agave syrup and mix well. Stir in berries, chopped cherries or pieces of peach or pineapple and mix. If allergies aren’t an issue add either chopped walnuts or almonds. And ½ tsp cinnamon. Mix all ingredients, pour into molds, and freeze. Judy cautions that it’s important to be aware of your glycemic response after eating a new type of food. Of course the most important way to monitor your health is to check and record blood sugar. And the easiest way to do that is with Dario. 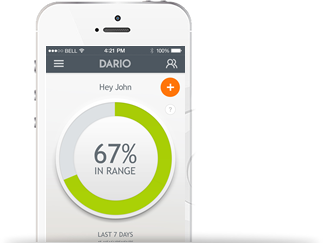 The Dario Diabetes Management Solution records your blood sugar number and uploads your information to a cloud platform. 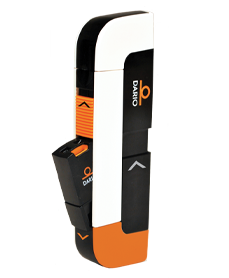 It stores all of your numbers to help you notice when your levels spike or drastically drop. An endocrinologist can check the medical information from any location and advise you on any need to modify your diet or increase your aerobic exercise level. It’s time to beat the heat! With Dario. at your side and these recipes you can keep your cool in more ways than one. 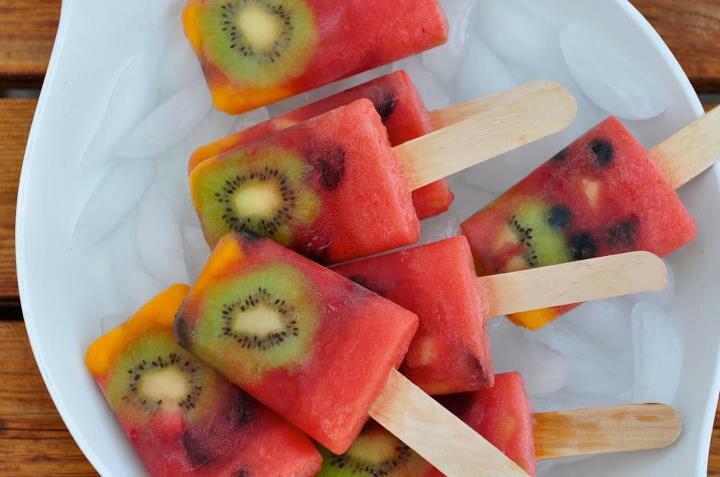 When you start serving these sweet, natural and delicious treats you’ll find yourself hosting a lot of company this summer! Bon appetite and beat the heat!